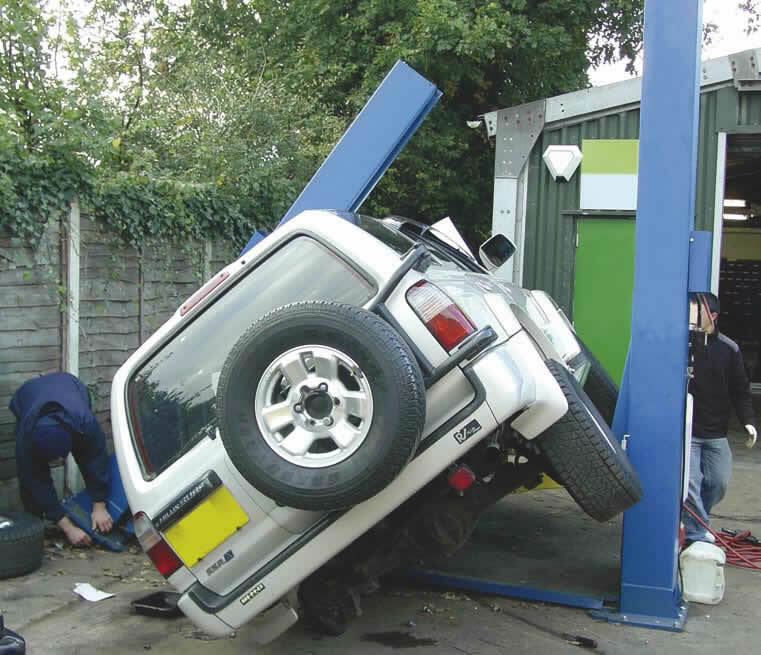 Advice (Risk of vehicles falling off two-post vehicle lifts in motor vehicle repair (MVR) - Sector Information Minute 03/2010/02) has been issued to the Enforcing Authorities (HSE & LAs) about the risks of vehicles falling from two-post lifts where arm locking systems are either missing or have ceased to work. 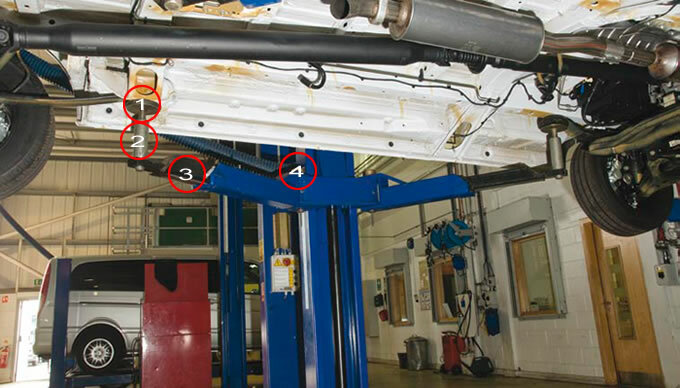 The advice follows two accidents, one fatal and the other very serious, in which vehicles falling off this type of lift struck mechanics working below. It was agreed with representatives of the MVR industry, through the MVR Forum, that arm locking systems should be fitted to all these lifts. Therefore, any remaining 2-post lifts without arm locking should now have been taken out of use or scrapped. Problems with the design, installation, use and maintenance of arm locking mechanisms continue to cause concern in newer machinery. Some new Chinese-manufactured 2-post lifts have been found where the locking mechanism has been poorly manufactured and failed to work from installation or within a short period of use. Further details are available in Sector Information Minute 03/2008/12 "Defective locking devices identified on modern 2-post lifts". In addition there are several basic safety measures that you should take when using 2-post lifts. We have also received a number of reports of lift collapses resulting from anchor bolts pulling out of weak concrete. Lift installers need to be competent and the flooring needs to be of appropriate strength. If there is no supporting evidence for the flooring specification, a series of test holes may need to made and expert opinion obtained. One way in which businesses can help assure themselves that a lift is installed correctly is by using installation engineers who are accredited - The Garage Equipment Association (GEA) operate a one such lift engineer accreditation scheme. 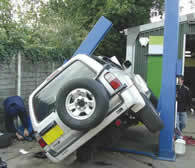 See also Updated Guidance on Vehicle Lifts.